A Cornish renewable technology manufacturer hosted a visit from the Government’s energy and clean growth minister last week. 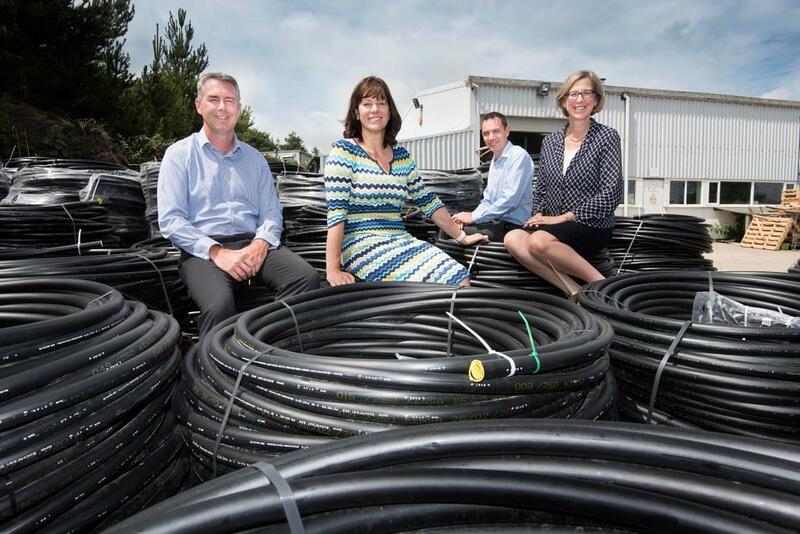 Claire Perry MP, along with Truro and Falmouth member, Sarah Newton, visited ground source heat pump manufacturer, Kensa Heat Pumps, at its factory at Mount Wellington, near Truro. The visit coincided with the publication of a Government response to boost the uptake of energy efficiency measures with upfront grants through the revised Energy Company Obligation (ECO). Perry said: “The UK is leading the world in cutting emissions, with the best economic growth while delivering the deepest carbon reductions of any G7 nation over last 25 years. “Continued Government investment through the Renewable Heat Incentive (RHI) scheme is supporting the scale of change needed to meet our 2050 targets for cutting carbon emissions from heating our homes and businesses, as well as boosting the local economy right here in Cornwall. Since the Energy Company Obligation scheme (ECO) was launched in January 2013, 2.3 million energy efficiency measures have been installed in approximately 1.8 million homes. The announced changes to the ECO scheme single out ground source heat pumps as providers of long-term benefits with low running costs, and the only technology that is able to receive both funding through ECO and the RHI. Kensa MD, Simon Lomax, added: “We are delighted that co-funding between the RHI and ECO will continue to be available for ground source heat pump installations.